Chris Brown Banned From Entering Canada, Due To, Ahem, "Immigration Issues"
The good people of the Canadian government wouldn't allow me entry. I'll be back this summer and will hopefully see all my Canadian fans! Brown was supposed to perform at the Bell Centre in Montreal on the night of Feb. 24 and the Air Canada Centre in Toronto on Feb. 25, as part of his international "Between the Sheets" tour. Brown mentioned in tweets that have since been deleted that both of those shows had been sold out. But he was forced to cancel both when he was denied entry into the country. Live Nation, Brown's tour promoter, said in a statement that "due to immigration issues" both shows had been canceled and refunds would be available for fans. A spokeswoman for Brown confirmed that the Canadian immigration officials had denied him entry, but that the singer could apply to return at a later date and planned to do so. There were no further details immediately available about why he had issues getting into the country, but this is not the first time entering another country has been an issue for Brown. 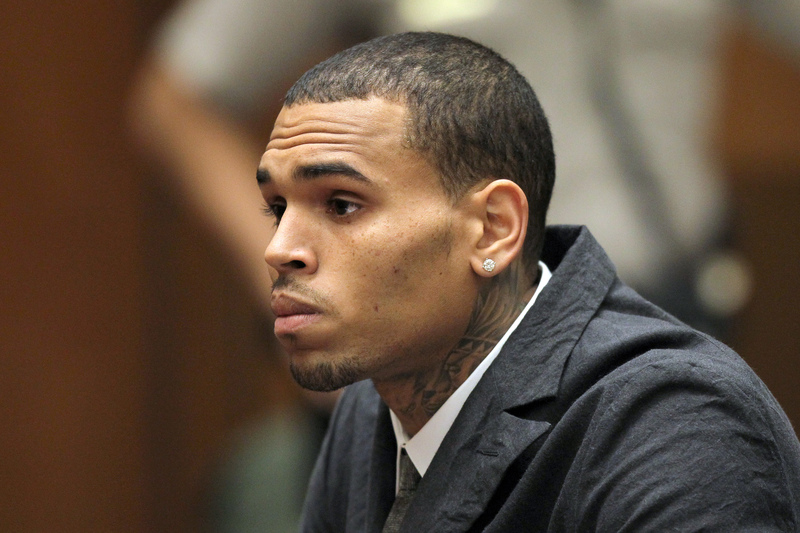 Brown was also denied entry in the United Kingdom back in 2010, which caused him to miss four scheduled shows. The British government's Home Office said then that he had been refused entry due to his criminal record. This was after his 2009 assault on then-girlfriend Rihanna. But the U.K.'s denial of his entry happened even before he plead guilty to hitting a man outside a Washington hotel while on probation from the Rihanna case, and before other brushes he had with the law, including nightclub brawls and breaking a window on Good Morning America. This may make fans wonder if Brown had trouble getting into Canada for a similar reason. A spokesman for the Canada Border Services said the country's privacy laws prevented him from commenting specifically on the denial of Brown's entry, but he did say several factors are used to determine whether someone is allowed in, including criminal activity, according to USA Today. So it is a possibility, but fans probably shouldn't hold their breath waiting for any further comment from the government. On a somewhat lighter note, the Twitterverse responded to the news with jokes that Drake, a Toronto native, had been the reason why Brown was banned, since the two artists have had a rocky past. Maybe next time Brown enters Canada, he'll have better luck, eh? We will have to stay tuned.